2 doors and 2 drawers base made of solid poplar wood with classic style. 2 doors Falteroma base is beautiful capacious and solid, perfect for decorating the home with classic style. Very nice it is to match the base to the plate rack Falteroma for create an original corner. 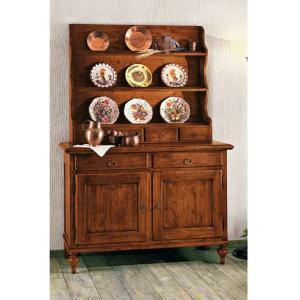 Classic and traditional base made of solid poplar wood, has got two swing doors and two drawers. 2 doors Falteroma cupboard is available in classic walnut color.